" I wanted to write you a short letter but I hadn't time, so I wrote you a long one"
- The curse of the short story writer. There are nine original short stories in this exciting new collection of contemporary fiction. 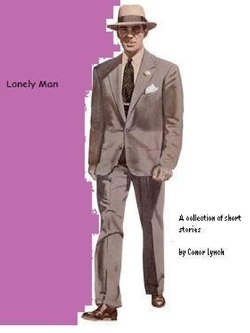 Ranging from the title story, Lonely Man which tells the story of Norman, a sales man in 1950's America. Norman's infidelities start to consume him which proves that the most popular guy does not always turn out to be the happiest. “Raymond, you can sit there and laugh all you want. But something is happening to the women of this town and it’s all to do with the water!” Raymond Briggs watched the syrup ooze down his breakfast waffle and as it hit the plate before him, he smiled smugly at the lush sensation he felt within. “Yes dear”, he replied dryly, to his wife of sixteen years as he bit slowly into his forming golden waterfall. Marnie Briggs frowned as she dried her hands in a tea towel and folded it back before placing it on the edge of the kitchen sink where she was standing. She looked at the taps, almost hypnotised afraid to sip their produce. “I mean Raymond; you take Susan Mansfield, a widow of seven years. All she ever did since her Herman died was care for those three beautiful boys. Now her black dress has been ditched for short skirts that leave nothing to the imagination and a ghastly hair style that….well it is not the cut of a respectable New England woman!” Don’t turn on the tap. Don’t turn on the tap. Don’t turn on the tap. Raymond sat back leisurely in his chair taking his morning paper and he gazed absently at the headlines. “We should get on the water supply people….let them know they might have a new line in women’s fashions”, he laughed slowly, musing over and advertisement for reduced polo shirts in the local mens department store. Marnie shook her head. “It’s not just her Raymond. Pattie Brimstowe plays up to the school principal each morning, flicking her hair and looking at her toes, flirting. And Isla Wilbury has started to have her meat delivered to her house by that handsome young butcher on Charles Street”. “Ha! – so that makes her a philandering nymphomaniac!” Raymond said glibly. “She’s a vegetarian Raymond”, Marnie replied as she hurriedly sudded dishes in the sink. Don’t turn on the tap. Don’t turn on the tap. Raymond stared at her with his mouth open before turning the pages to the crossword. For it was true what Marnie Briggs had said. Something was happening the women of South Vilton, New England. There seemed to be some awakenings in that hot June of 1981. Isla Wilburg could remember the day herself as she sat drinking tea alone in her kitchen. She flicked a crumb from her black skirt to the tiled floor beneath her. But for once she didn’t automatically look at the picture of her late husband on the dresser as she made her way to the sink to retrieve the brush and pan from beneath. Her tea wasn’t satisfying her thirst and she placed a glass with ice beneath the cascading water that flowed from the pump. As she looked at the transparent clear spray, she was both frozen in time and mesmerised by its almost magical, music like quality, as the sprinkling filled her ears as a music box delights a child. She sipped the water and her tongue wetted her lips as if to absorb every last droplet. Her body deprived, dehydrated, sucking every last piece of moisture in as it soothed past her tonsils and slowly eased like a knife through butter, past the dryness that had tightened her throat. She brought a finger to her lip to try and touch this magnificent sensation physically as if it were not real. “Did you see my car keys honey?” Raymond was walking through the breakfast room lifting cushions and magazines as he went. “No dear…are you going to the garden centre today? We could do with more of that spray you got last month for the smaller flowers”. Marnie folded another blouse she was ironing. She turned to place it on the back of the couch and caught a glimpse of her size sixteen figure in the full length mirror that faced her from the hallway. Her blue patterned dress was set well against her black curling hair and despite her larger size; she smoothed a hand down the side of her hip smiling gently as she did so. an array of publications and journals including Ireland's Own, and the Irish Independent. 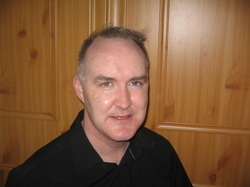 He has a regular column in the Gazette Newspaper in Dublin.